Looking to build a new Intel system? Well then this afternoon’s giveaway should be just what you need. 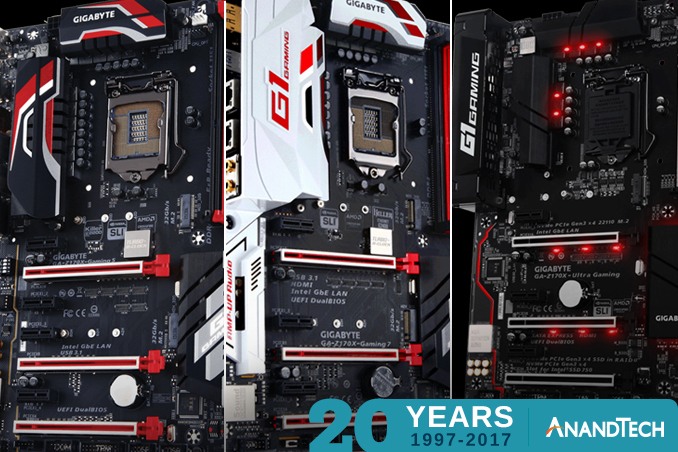 Today Gigabyte is providing a trio of their Z170 gaming motherboards: the Z170X-Ultra Gaming, the Z170X-Gaming 5, and the Z170X-Gaming. 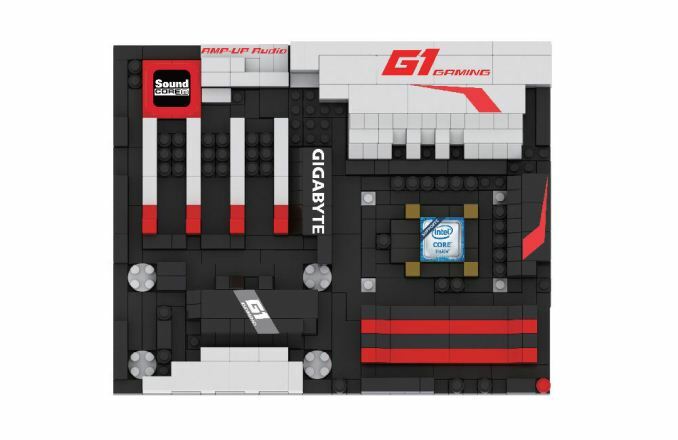 As an added kicker, they’ve also thrown in some swag: Gigabyte motherboard-themed building block kits. Leading the pack of today’s prizes is Gigabyte’s Z170X-Ultra Gaming motherboard. 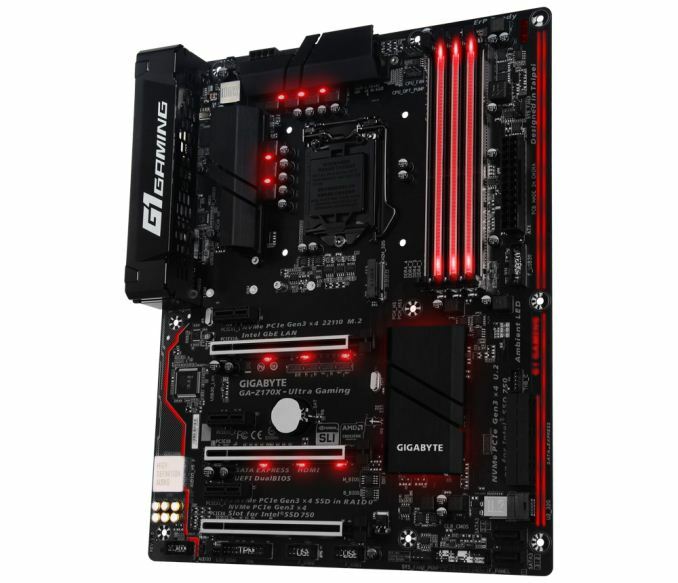 The LGA 1151 motherboard sports 3 PCIe x16 slots (2 off of the CPU, one x4 off of the chipset), 3 PCIe x1 slots, a single full-feature M.2 slot, and unique for Gigabyte’s lineup, a U.2 connector for high performance 2.5” SSDs. In terms of third party controllers, we’re looking at a Realtek ALC 892 for audio, and an Intel I219-V GigE LAN controller, and, most significantly, an Intel “Alpine Ridge” controller for USB 3.1 (Gen 2) and Thunderbolt 3 support. Particularly interesting here, Gigabyte is one of a handful of vendors to support the highest USB Power Delivery 2.0 states, meaning the board is capable of delivering 100W of power over its Thunderbolt 3/USB-C port. 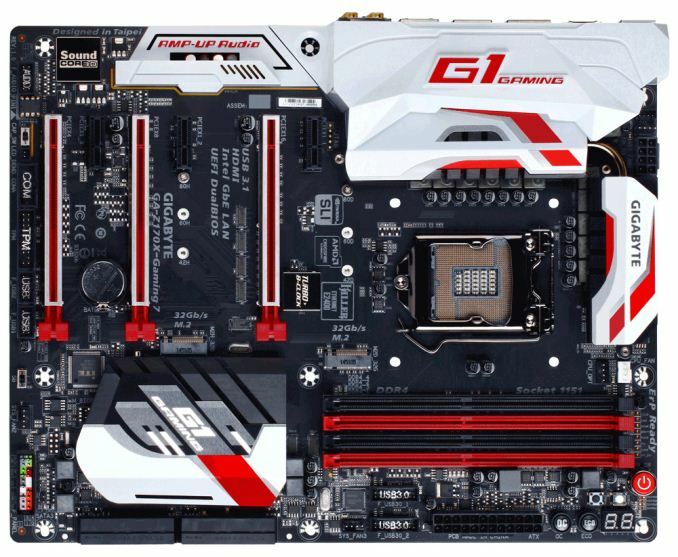 The second motherboard among today’s prizes is Gigabyte’s Z170X Gaming 7. The layout of this board is quite similar to the Z170X-Ultra gaming, relying on the same 3 PCIe x16 slot + 3 PCIe x1 slot configuration. However the board features two M.2 slots, both of which support both SATA and PCIe drives. For third party controllers, as this is a more high-end gaming focused board, Gigabyte has equipped the board with a Creative Sound Core audio controller for audio, both Intel and Killer E2400 controllers for dual NIC functionality, and like its Ultra counterpart, an Intel “Alpine Ridge” controller for USB 3.1 (Gen 2) and Thunderbolt 3 support. 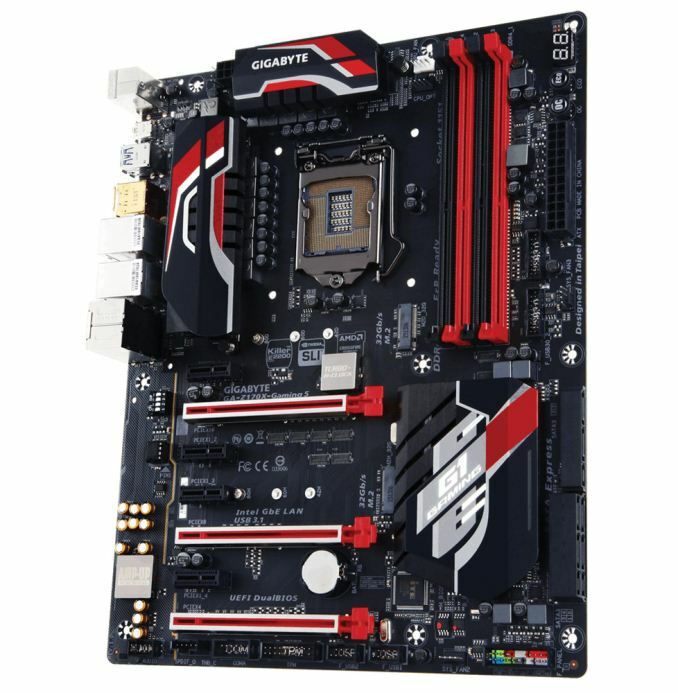 Our final motherboard prize of the day is Gigabyte’s Z170X Gaming 5. The smaller sibling to the Gaming 7, this board has the same triple PCIe x16 (2 CPU, 1 PCH) slot layout, but with 4 PCIe x1 slots and a single M.2 slot. For third party controllers Gigabyte is using a Realtek ALC 1150 for audio, both Intel and Killer E2201 controllers for dual NIC functionality, and an Intel controller for USB 3.1 (Gen 2) support. Last among our prizes, Gigabyte has also thrown in some outright swag with their building blocks kit. The kit lets you build – you guessed it – a toy motherboard, complete with Gigabyte and Intel logos. No word on what kind of CPU it supports though.